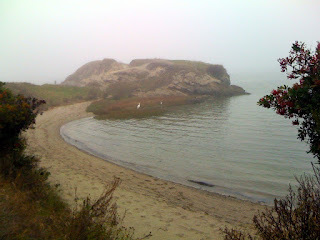 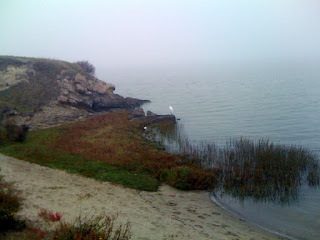 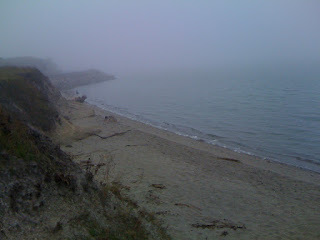 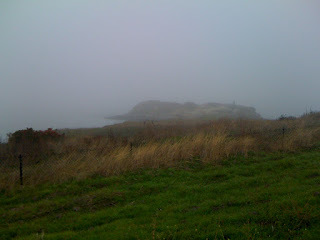 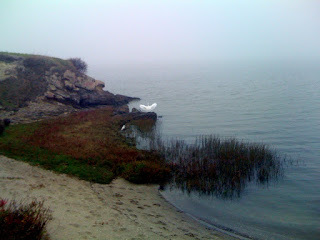 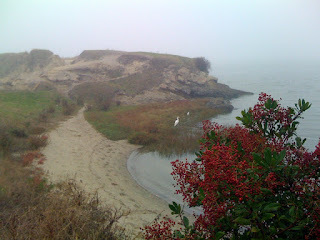 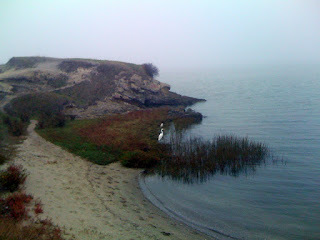 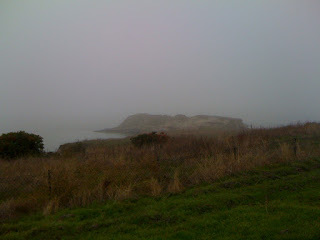 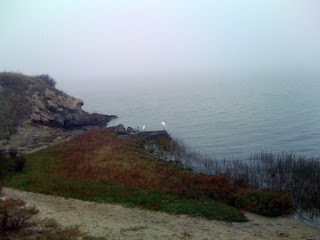 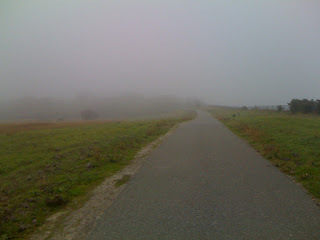 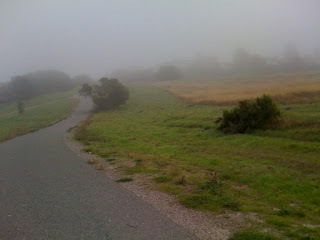 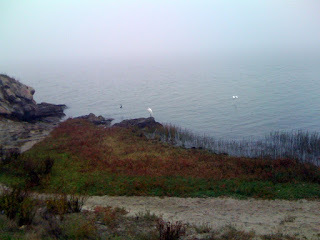 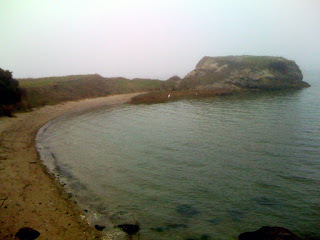 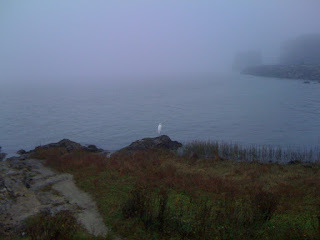 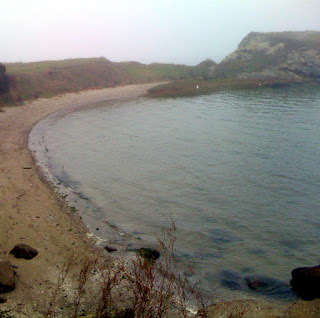 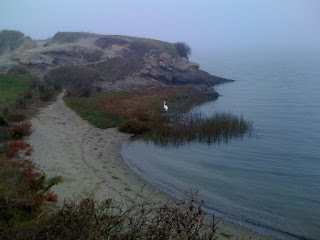 This morning I went for a walk on the San Francisco Bay Trail and I saw two egrets. 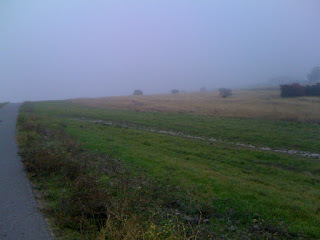 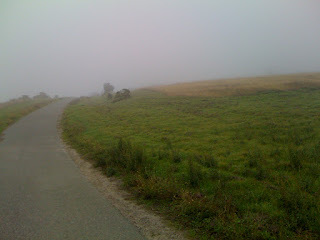 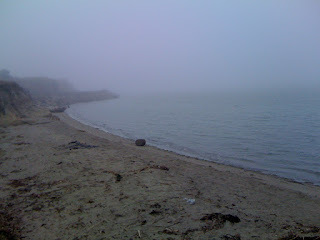 It was a beautiful foggy morning and I was sorry I hadn't brought my camera, but then I remembered that my mobile phone had a camera. 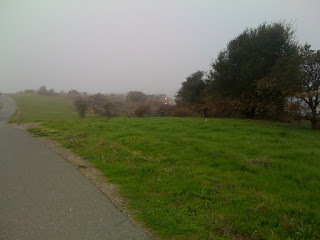 So I took these photos while I was on my walk. 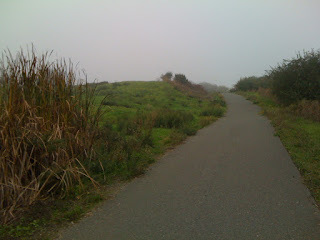 The San Francisco Bay Trail is a bicycle and pedestrian trail in the San Francisco Bay area. 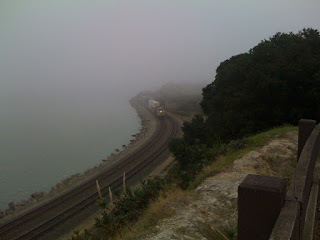 When complete, the Bay Trail will be a continuous 400-mile recreational corridor that will encircle the entire Bay Area. 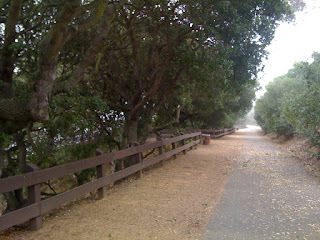 The Bay Trail provides access to commercial, industrial and residential neighborhoods; points of historic, natural and cultural interest; recreational areas like beaches, marinas and fishing piers; and over 130 parks totaling 57,000 acres of open space. 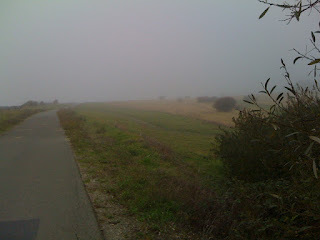 It passes through highly urbanized areas like downtown San Francisco as well as remote natural areas like the San Francisco Bay National Wildlife Refuge. 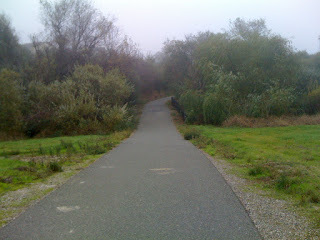 Depending on the location of its segments, the Bay Trail consists of paved multi-use paths, dirt trails, bike lanes, sidewalks or signed bike routes. 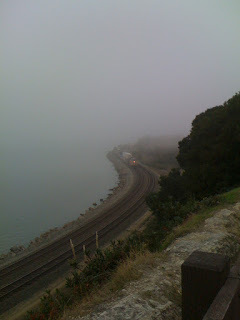 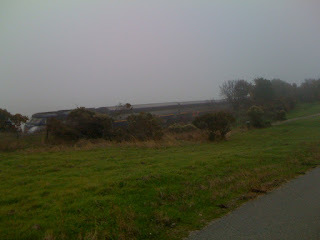 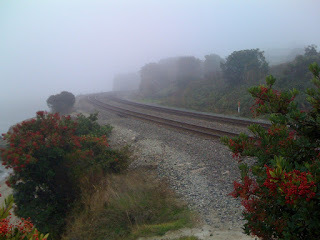 Photo of an Amtrak train along the shore of the San Francisco Bay. 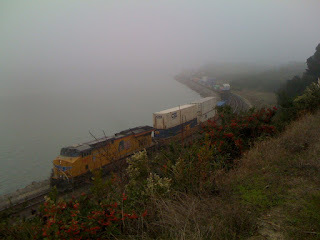 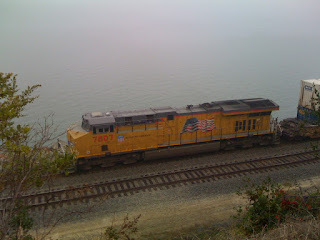 Union Pacific train along the shore of the San Francisco Bay.